Illuminists can sometimes be engaging, likeable people. The kind of person you wouldn't mind going to dinner with or hosting at a barbecue. That is, unless you knew that beneath that happy, party-like veneer and surface there was a deep interior of consummate evil. Take Will Rogers, for example, the loveable Oklahoman storyteller. He was admired by the nation for his rangy, down to earth humor and wit. Who would know that, along with his fellow Masons, Rogers bowed before satanic altars and drank wine from human skulls! 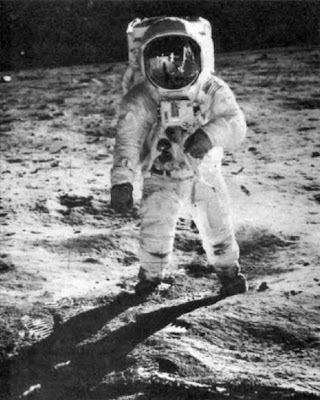 There's astronaut Buzz Aldrin who, it is claimed by NASA, once went to the moon. How many knew that Aldrin carried with him to outer space a Scottish Rite flag emblazoned with the diabolical image of the double-headed eagle? 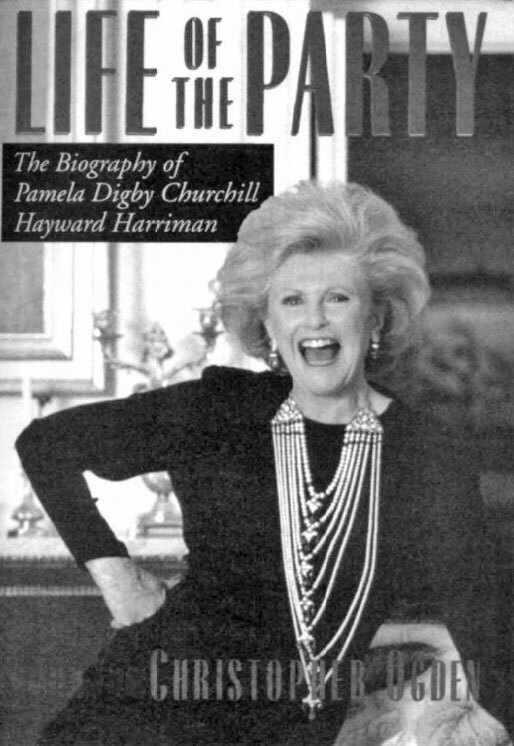 And we have the late Pamela Harriman, so popular and likeable her biography was entitled "Life of the Party." Harriman's husband was Averell Harriman, Patriarch of the Order of Skull and Bones. What tales Ms. Harriman could have told us! After all, she was mistress to a Rothschild and also once used a young, up and coming, Georgetown University student as her sexual boy toy. His name: William Jefferson Clinton. President Lyndon B. Johnson certainly fits into that category ~ if there is such a category ~ of "Part Devil, Part Angel." A Master Mason raised to the third degree in a Lodge in central Texas, Johnson was the primary mover for the black civil rights movement. His aggressive endorsement of various civil rights bills helped create a more equal society. But, why do his biographers call LBJ "cunning" and a "wolf?" Then, also in 2003, Jeff Rense, in his outstanding internet web site, Rense.com , published two photos of what is being called "The Most Revealing Wink of the Twentieth Century." As a public service, the author of Codex Magica is reproducing the same photos here. 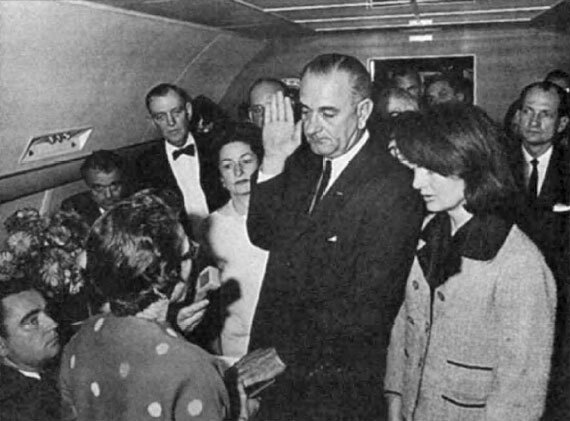 This heart-rending scene aboard Air Force One of Lyndon B. Johnson being sworn in as President of the United States following the assassination of John F. Kennedy, was published everywhere, in newspapers, magazines, and books. Look closely at the somber looks on the faces of the persons in the photograph. Here's the photo that was left unpublished and was kept hidden from public view until now. Congressman Albert Thomas winks back at a quickly-smiling LBJ as he is being sworn in to be the next President of the United States on Air Force One. The grief-stricken Jackie Kennedy stands next to him. 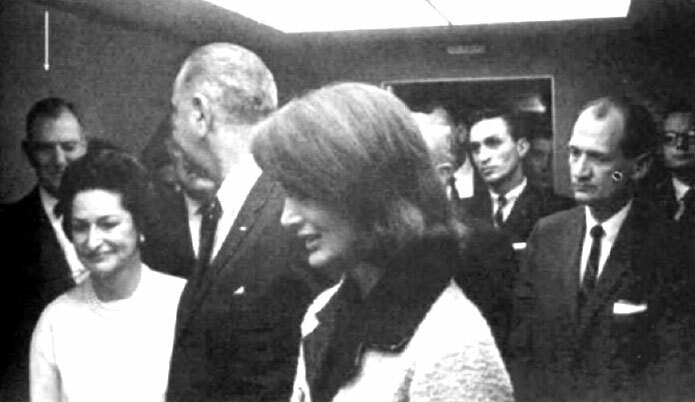 Meanwhile, a sly smile also creases the face of Ladybird Johnson, LBJ's wife. LBJ ~ was he "part devil, part angel?" I don't think so. He was 100% something, and I'll let you decide just what. 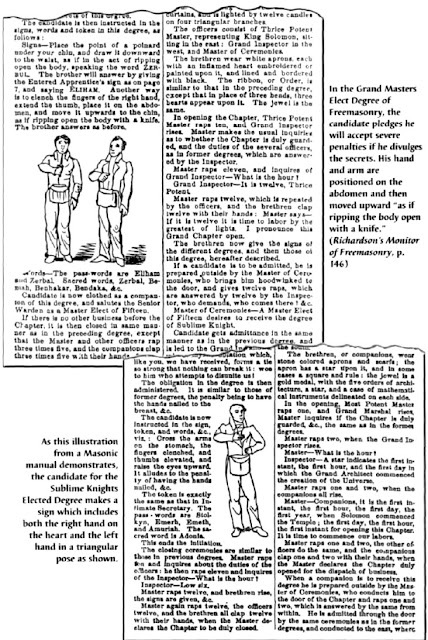 Johnson and the others are shown in the following pages giving what appears to be the Illuminist hand sign of the arm in triangular position with hand to side of body. The photos here give evidence that this gesture is not accidental as one might suppose. 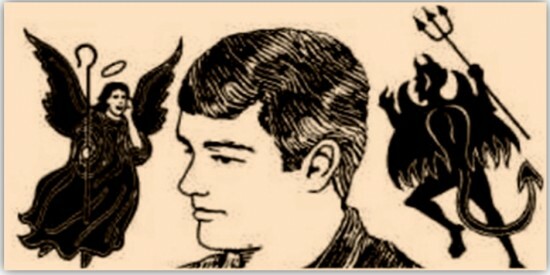 Several illustrations from authoritative Masonic reference books provide further documentation that the sign is intentional and communicates a message. 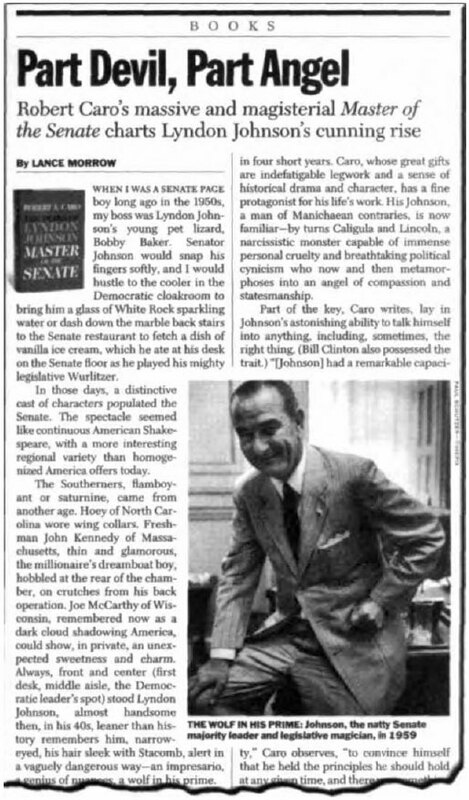 An interesting article showcasing a book about rascally President Lyndon B. Johnson. 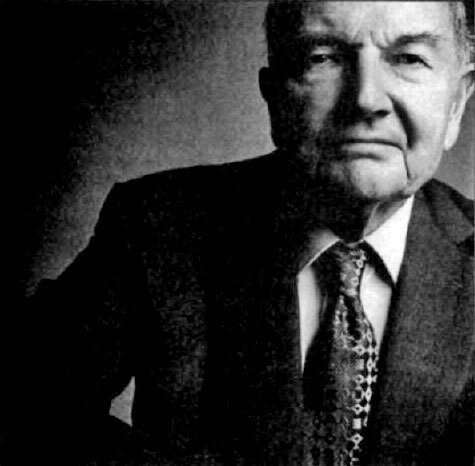 The headline says the touted, biographical book "charts Lyndon Johnson s cunning rise." The caption under the photo of LBJ describes the late President as "The Wolf In His Prime" and lauds him as a "legislative magician." Above, we are especially interested in the clearly Illuminist pose struck by Johnson: His left arm in the triangle position with the clenched fist of socialist power. No wonder this article in Newsweek magazine is entitled, "Part Devil, Part Angel." Incidentally, the Librarian of the House of the Temple, Scottish Rite, Washington, D.C., reports that Lyndon B. Johnson never got past the Master Mason (3o) degree. This author believes, however, that Johnson was initiated into other secret societies and Orders than Freemasonry and, of course, he was a key political mover and shaker acting on behalf of both Zionist interests and the nation's oil elite. David Rockefeller, Sr., Illuminati insider, multibillionaire, and founder of the Trilateral Commission. This photo, in the upscale Town & Country magazine, was without caption or explanation. It is obviously staged as it shows the exaggerated Masonic arm sign. 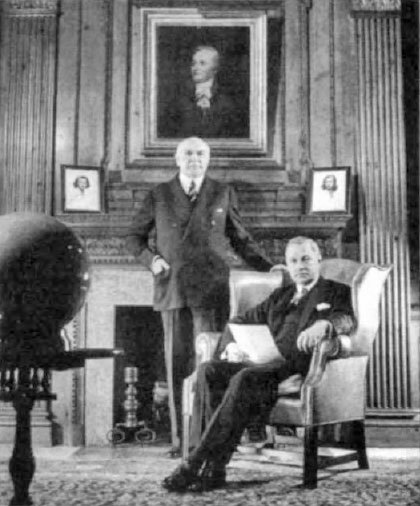 Note that the image of Rockefeller's torso is not even centered, even though a highly professional photographer took the photo, and Town and Country magazine's editors are thorough and detailed in photo art selection and placement. Standing: Winthrop Aldrich, Chairman, Chase-Manhattan Bank. Sitting: Chase's president. Just an innocent photo shoot? Don't believe it! This is Congressman Richard Gephardt (D-MO), House Minority Leader. He's standing on a square, in Masonry signifying rulership of the four corners of the earth. Both his arms are in the triangular position. His necktie is black and white checked, as on the floor tile of the Lodge. 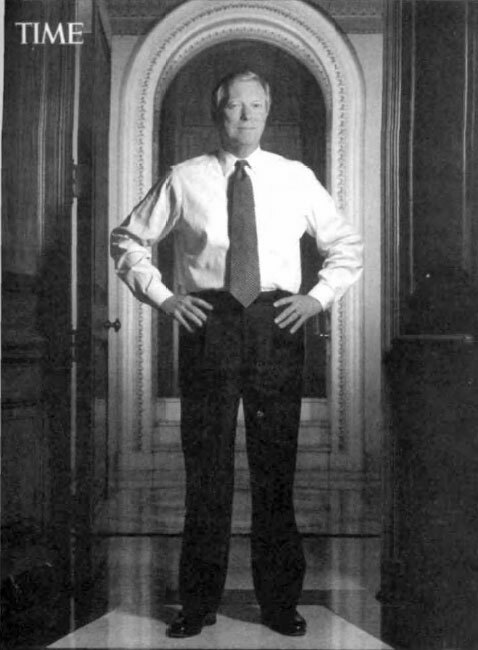 He is standing in an open doorway. Behind him in mosaic on the marble floor is the emblem of the all-seeing eye. The portal beyond, looming above and virtually framing the Congressman, is the arch. The arch plays a significant role in Freemasonry, and one of the major schools of the Lodge is Royal Arch Masonry. 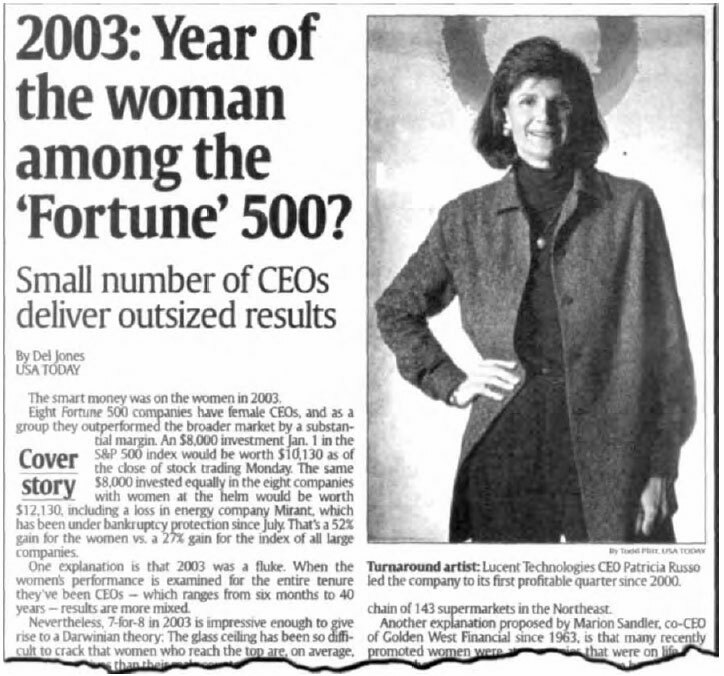 Lucent Technologies CEO Patricia Russo in a USA Today newspaper (December 30, 2001) photo and article. See how clever the editors were in placing Russo's head so that the red, serpentine, circular Lucent Technologies (similar to the Oroboros) appears to be an occultic ring or halo (Nimbus). 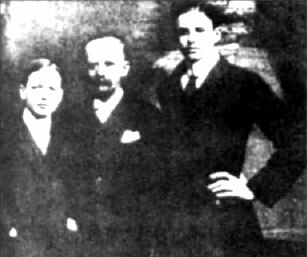 Banker E.H. Harriman (center) with sons Roland (left) and Averell (right) in 1907. Young Averell Harriman is giving the masonic sign with his left arm. 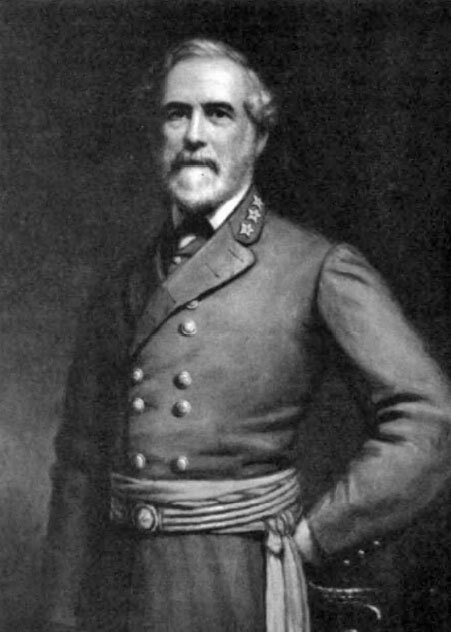 Averell Harriman went on to become Governor of New York State, U.S. Ambassador to Dictator Joseph Stalin's Communist Russia, and a Patriarch of the Order of Skull & Bones. Pamela Harriman is doing more here with her body than merely being "Life of the Party," title of this book. A Churchill heir, Pamela was a mistress of one of the Illuminati Rothschilds and later married Governor Averell Harriman, Patriarch of Skull & Bones. Pamela Harriman met and "mentored" young Bill Clinton when he was just a student at Georgetown University in Washington, D.C.
She introduced the young man to her aging husband and voila! - the political career of William Jefferson Clinton was on the fast track. Many years later, after Pamela's husband passed away and President Bill Clinton was in the White House, Clinton appointed Pamela to the prestigious post of Ambassador to France in Paris. Buzz Aldrin, Scottish Rite Mason, was the first astronaut to walk on the moon. Aldrin also planted a double-headed eagle flag on the soil of the moon's surface, claiming the moon as territory belonging to the Supreme Mother Lodge of Freemasonry. 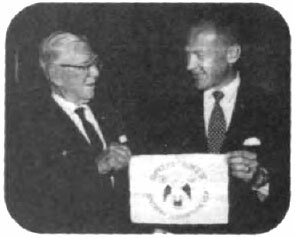 Astronaut Edwin "BUZZ" Aldrin, 33° Mason, presents the Scottish Rite flag carried to the moon on Apollo 11 in 1969 to Masonic Grand Commander Luther A. Smith (from the book, Lodge of the Doubleheaded Eagle, by William L. Fox, University of Arkansas Press, 1997). 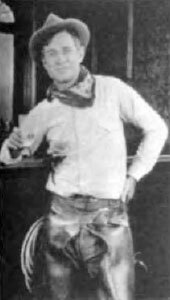 Will Rogers (1879-1935), was a famous storyteller and a Freemason. Here he is in the pose of Sublime Knights Elected degree. 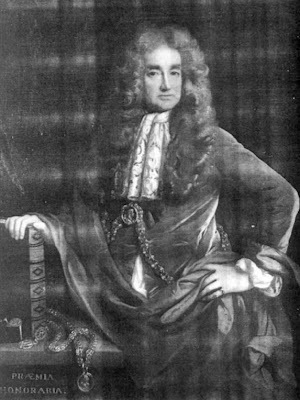 Elias Ashmole was made a Freemason in 1646. This illustration is from the picture in the Ashmolean Museum in Oxford, England. The book is Ashmole's History of the Garter. 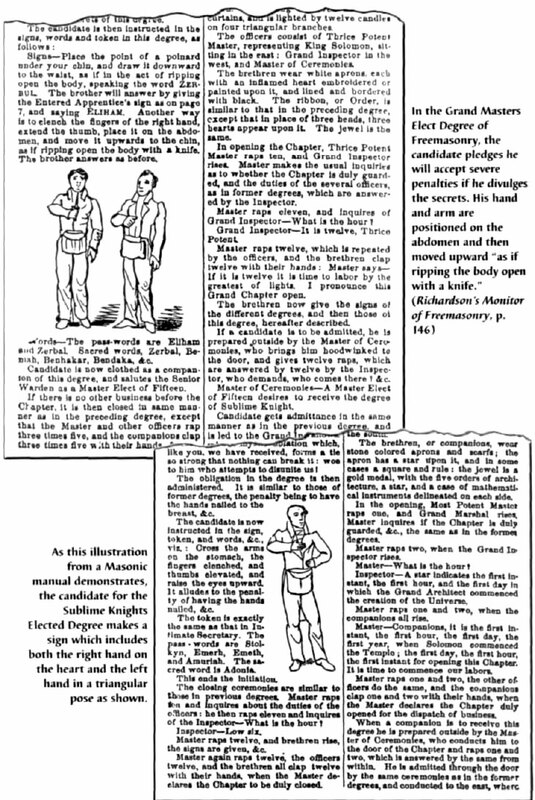 It chronicled the secret society of English nobility call the Order of the Garter. The Latin words in the lower corner of the engraving mean an "honorable distinction."